Ajit Singh was in Muzaffarnagar for his Jansamvad Yatra when he targeted the BJP on the issue of Syana violence. 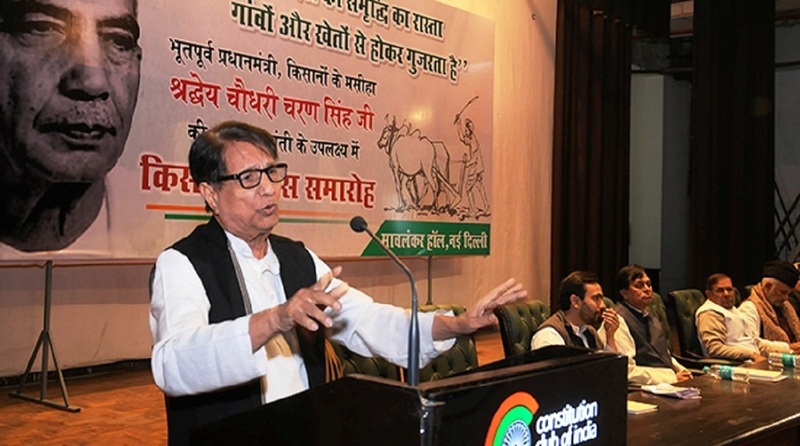 RLD leader Ajit Singh has raised questions over the delegation sent by the BJP to Syana 16 days after the violence. 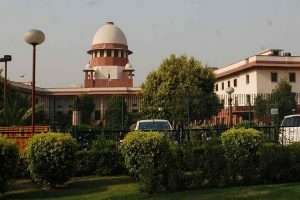 He charged the BJP on Thursday for trying to protect the accused belonging to Hindu organisations and the BJP itself. A four-member delegation of party leaders was sent to Syana by party’s state president Mahendra Nath Pandey. Ajit Singh was in Muzaffarnagar for his Jansamvad Yatra when he targeted the BJP on the issue of Syana violence. Singh said that people have understood the political gimmicks of the BJP and now want to get rid of Modi and Yogi. Condemning the statement of CM Yogi that Bulandshahr violence was a conspiracy, the RLD chief said it is now an open secret that who was behind the conspiracy there. He said that BJP’s decision to send a delegation to Syana 16 days after the incident is eyewash. They only want to protect the accused that are associated with Hindu organisations and their party. They are still not arrested. Ajit Singh claimed that people have made up their minds for change and their own supporters have begun speaking against Modi and Yogi. Referring to a few recent voices within the party demanding to replace Modi with Nitin Gadkari, the RLD chief said that more such voices would be heard in BJP. On Wednesday, as part of the BJP delegation, its MP Vijaypal Singh Tomar (leader of the delegation) and MLAs Kapil Deo Agarwal, Umesh Malik, and Sunil Sharma visited Syana. The delegation visited the Chingrawathi police post from where the violence started on December 3. They then went to village Mahav from where the incident of cow slaughtering was reported on the night of December 2 which resulted in large-scale violence the next day. The BJP delegation had met the villagers and talked to them about the incident to take feedback from them. The leaders also visited the house of deceased Sumit in village Chingrawathi and met Sumit’s grandmother as his parents and other family members had gone to meet the CM in Lucknow. They also visited the house of Fauji Jeetendra Malik who is in jail on charges of rioting and is a suspect in the killing of Inspector Subodh Kumar Singh. Jeetu’ house was however locked when they reached there.